Kopparbo is a 49 hectare (490 000 m2 or ekvivalent to 96 football grounds) big Scout Center 30 km south east of Ludvika with possibility to welcome 5000 persons in tents and 50 indoors. The work as a volonteer is varied and challenging with a lot of fellowship and fun. You do not need to be an expert to work at Kopparbo. Being positive and willing is enough! We plan for next Dalacamp! Dalacamp is Kopparbos own big scout camp with over thousand participants. This will be the ninth Dalacamp since 1977. We invest heavily on theme and program so it’s something out of the ordinary. Visitors are both from Sweden and abroad. Preliminary dates is Saturday 25 July to Saturday 1 August 2020 and preliminary cost is SEK 1950. More info will come when we have gone further in the planning, but already plan for your participation. 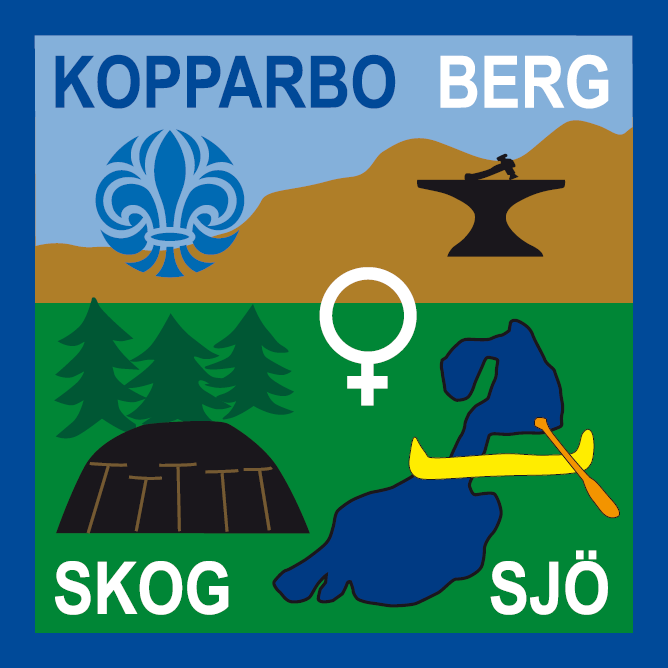 Kopparbo is a part of Goose Network, a network of Scout Centers in Europe. The idéa that as flying gees in a V-formation together goes longer than alone, we too have choosen that way.